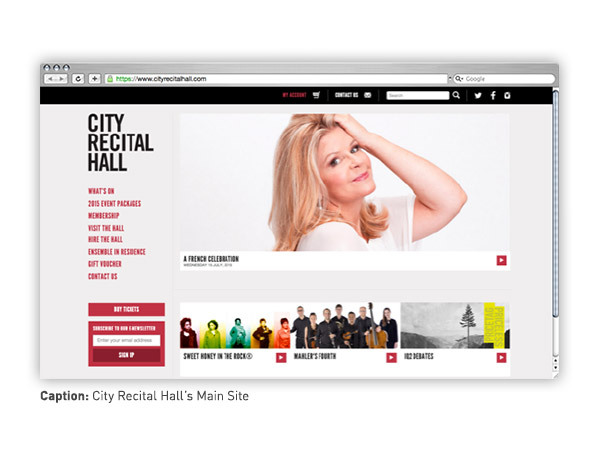 L2 Interactive is proud to announce the recent launch of City Recital Hall’s TNEW integrated website. Located in the heart of Sydney, Australia, City Recital Hall is a world-class performance space specifically designed for superb acoustics. With its unique architecture, the Hall is renowned for its quality of sound and elegant design. 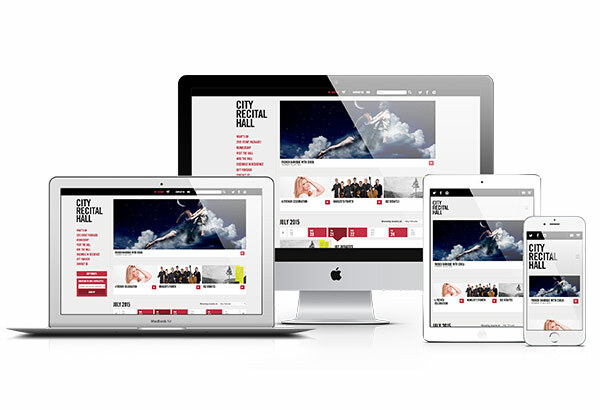 To ensure that their website matched the sophistication of their venue, City Recital Hall came to L2 looking to streamline and customize their site, within the framework of the TNEW platform. This gave L2 the opportunity to think creatively about what’s possible within the TNEW platform, including custom template integration and additional customization through erube2. 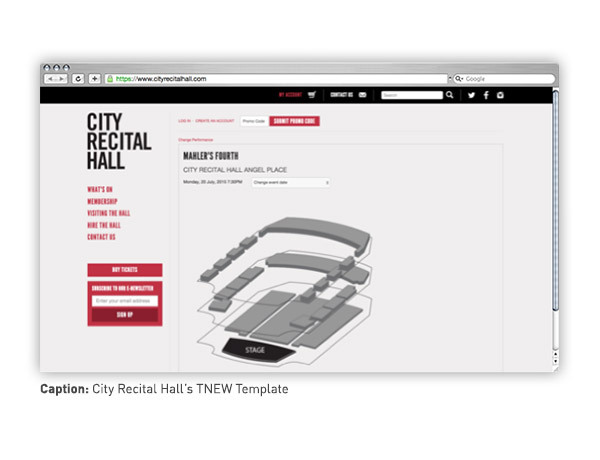 For City Recital Hall, L2 developed a fully designed template that’s passed seamlessly into the TNEW purchase process. The template mirrors City Recital Hall’s site design exactly, providing a unified experience to patrons between the Hall’s main content site and the ticketing process. For patrons, this works to ease the feeling of being sent to an alternate site to complete a ticket purchase. As with all of L2’s sites, City Recital Hall utilizes L2’s content management and site architecture framework, erube2. With erube2 comes the ability for simple to complicated site content customization. 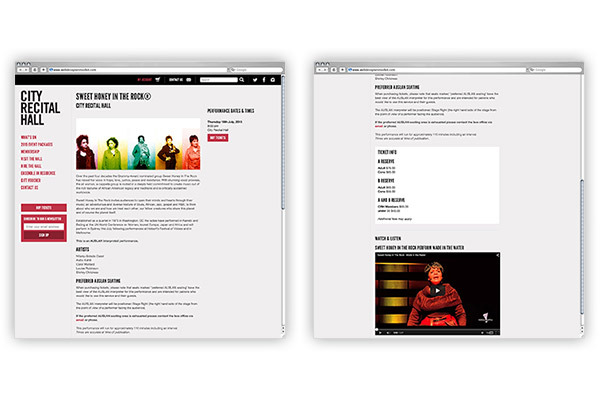 Features like erube data provide a straightforward way to edit contact lists, multimedia galleries, event detail pages and other Tessitura elements, while automatically generated navigation, drag and drop page ordering, and WYSIWYG content editing allow for straightforward content management. 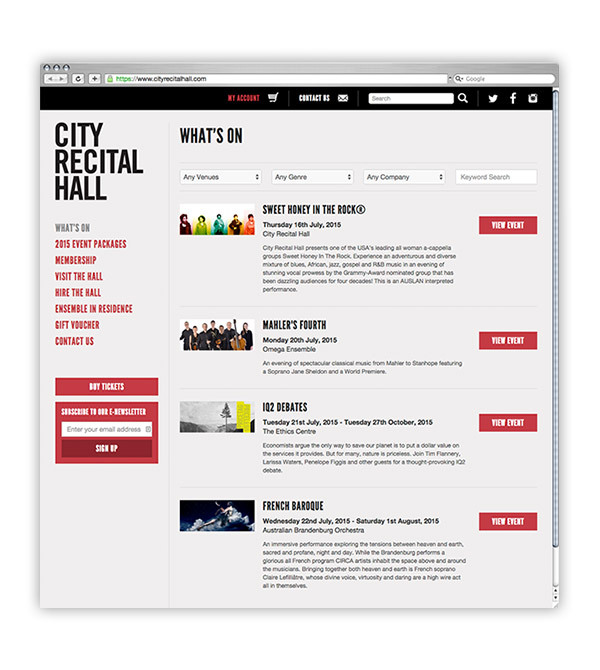 City Recital Hall leveraged erube2 to organize their season schedule, allowing patrons to keyword search and filter packages and performance by venue, genre, and company on their What’s On page. In addition, City Recital Hall customized their package detail and event detail pages, adding package information, cast information, ticket information, multimedia, and more, to give patrons all necessary information before entering the TNEW purchase process.